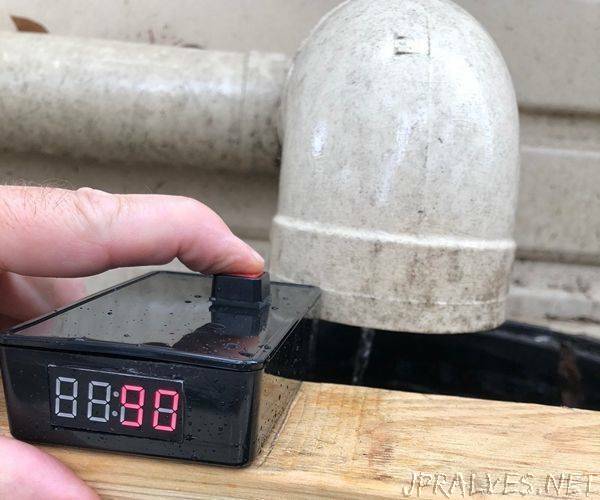 “If you are anything like me and have a little bit of an environmental conscience (or are just skinflints eager to save a few bucks - which is also me…), you may have a rainwater tank. I have a tank to harvest the rather infrequent rain we get in Australia - but boy oh boy, when it does rain here, it REALLY rains! My tank stands about 1.5m high and is on a plinth, meaning I need to get out steps to check the water level (or - because I am so lazy, balance precariously on top of an old gas bottle from the BBQ that has now taken up permanent residence as a ‘step’ beside the tank). I wanted some way to be able to check the water level in the tank, without all the climbing and hanging onto the drainpipe with one hand (while worrying about what spiders might be behind it - you’ve heard about Australian spiders - right? )… So, with a renewed late in life interest in electronics, and cheap Arduino clones from China on ebay, I decided to have a go at building a ‘widget’ to do the job for me.